It was almost the end of the twentieth century when internet was introduced for a common man, and now it has integrated in everyone’s life. It has proved itself to be a very useful invention in a number of different ways, and the most interesting thing that became available through internet to public is social media. Social media has established new and innovative ways for people to get in touch with each other. Now the use of social media is not limited to discussing family events, and sharing photos and videos, it can actually create history and make difference in the real world. A person cannot live peacefully if he is not living in a politically stable state. And often a country or state is considered politically stable, when democracy is the successful ruling power there. In democracy, the nation of a country is allowed to elect its leadership, and the electorate with the majority wins the race. Politicians and political parties run campaigns to promote themselves and their agenda to win the heart, trust, and vote of people. They use different means for this purpose. Even in this era of technology, most of these means are traditional, but many of today’s politicians can understand the strength of social media. To understand this power, if we take an example of United States of America alone, we will come to know that more than 60% adults use social media, like Facebook and Twitter. On these platforms, they not only share their general thoughts, but they do share what they think about the politics. They follow different politicians, take part in various surveys and discussions, and last but not least, impress and get impressed by the thoughts of others. When Barack Obama was elected for his second tenure, a photo of him and the first lady set a record for being shared and retweeted for the most times in the history of Facebook and Twitter respectively, within few hours. It shows that most of the people using social media take interest in political events taking place around them. Now we’ll have another example. Many of us may remember what happened in Tunis some years back. How Twitter played a major role in the awakening process of the general public, and then the whole nation got united to bring democracy to their country. A single photo on one of the most used social media, Twitter, united thousands of people with a same aim and their joint and powerful efforts eventually kicked off the longtime President and Army officer, Zine El Abidine Ben Ali from the country. The efforts were successful and for the first time democratic elections were held in Tunis. If you have a look on the incidents that took place in the country at that time, no doubt, you will call Twitter, Facebook and other platforms as a Democratic Social Network. 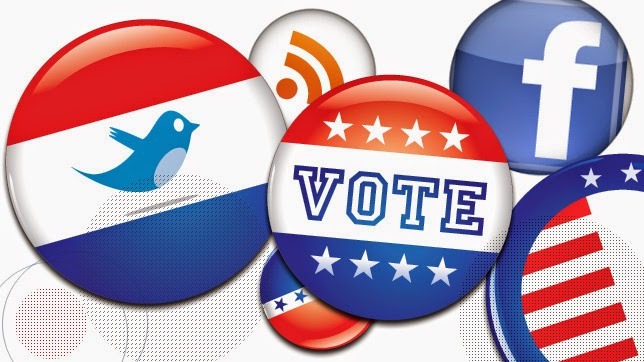 A number of politicians are now using different social networking sites to make their online presence strong. Twitter and Facebook are the two most internationally used social sites, and different politicians use these two to stay in touch with the public. Through their official pages, they share their recent activities, stance on different matters, and encourage people to share their point of views with them. In this way, they remain active and alive in front of their followers. So far, social media is unable to bring any massive change in the results of elections in any country, yet its power cannot be denied especially when it comes to the newly registered voters, or youngsters. In fact, one social network out there today, Empowr.com, has become fully democratic in hopes of bringing change on a broader scale. It may be some time until we see this happen, but it is heartening to know that regardless of the technology, we are closer to change today than we have ever been before.